If you love or even like CW's long running series "Supernatural" You have to see this VERY FUNNY parody! The devil is in the details of this Supernatural/Taylor Swift mash up written, directed, edited by, and starring our favorite sister duo, Hilly & Hannah Hindi…oh, and practically the entire cast of Supernatural. 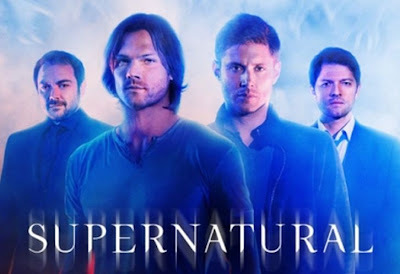 Starring Osric Chau as "Sam", Rob Benedict as "Cain" and special guest cameos that include Jared Padalecki, Jensen Ackles, Misha Collins, Matt Cohen, Gil McKinney, Tahmoh Penikett, Richard Speight Jr, Lauren Tom, Travis Aaron Wade, Tim Omundson, Samantha Smith, Sebastian Roche, Mark Pellegrino, and Tyler Johnson. The Hillywood Show® is the brainchild of internet celebrities, comedy sister duo Hilly & Hannah Hindi. Each parody features song & dance parodies of blockbuster films such as The Lord of the Rings and Harry Potter along with popular TV shows & celebrities such as Doctor Who, The Walking Dead & Lady Gaga. Be sure to check out these mega-talents as they shake, shake, shake on Nerdist.com!